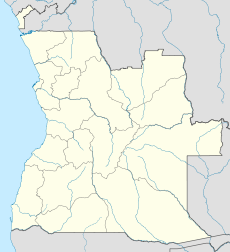 Namibe Airport (Portuguese: Aeroporto de Namibe) (IATA: MSZ, ICAO: FNMO) is an airport serving Namibe, the capital city of the Namibe province in Angola. The airport resides at an elevation of 210 feet (64 m) above mean sea level. It has 1 runway designated 08/26 with an asphalt surface measuring 2,500 by 45 metres (8,202 × 148 ft).